We're Local and In Your Area! Reaching New Heights In Service! Are you wondering how much it costs to have your home or business painted? Find out now with our Request A Quote Form! 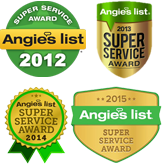 We have great reviews on Kudzu and Angie’s List! We always take time to cover your belongings to ensure nothing gets paint on them! 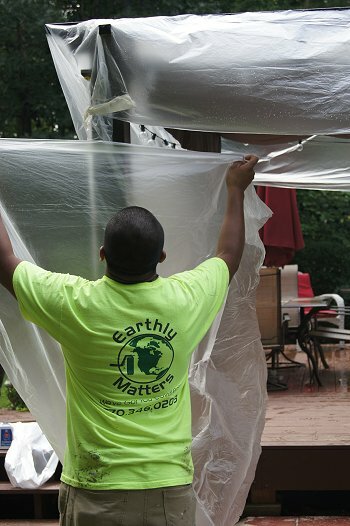 Earthly Matters Painting is a full-service painting company. We bring over 16 years of experience and quality painting services to our customers. Simply put, we want to change the way our customers view the contracting industry. Earthly Matters is a service oriented company and goes far beyond the job requirements to ensure we exceed our customer’s expectations. We guarantee on time delivery of our service and provide top quality assurance to make sure our customers are satisfied. We are licensed, bonded, fully insured, and look forward to being of service to you, your family, and your home.